C&W humidity cabinets are designed to reproduce test conditions of high humidity at constant or cycling temperatures demanded by modern industry. The cabinets are reliable, easy to operate and have a robust construction. 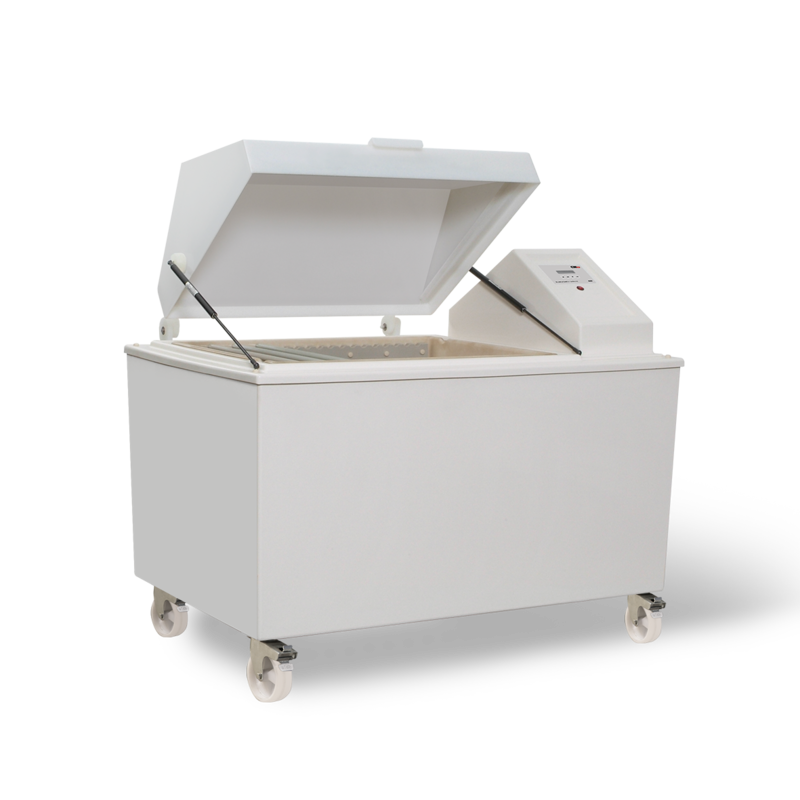 C&W Humidity Cabinets are designed to reproduce test conditions of high humidity at constant or cycling temperatures. The test chamber environment is created by water being heated to precise temperatures to generate the production of water vapour. The water vapour saturates the air in the test area which is constantly being circulated by the internal fan to ensure even distribution. The test panels or components are enveloped in the moisture enriched air, allowing the water to be absorbed by the coating and oxidising with the base metal resulting in either blistering of the coating or the formation of red rust or oxidisation on a non–ferrous metal. This test is used to reproduce the exposure to naturally occurring condensation or by cycling the temperature, in the cabinet dew formation can be produced. Cyclic temperatures, step –up / step-down over time. Constant high humidity – 95% to 100% saturated. Microprocessor controller with seven-programme memory. Full digital display of test conditions. Low water sensor protection. Air circulation by internal fan ensures uniform test conditions. Time cycle facility for precise test duration control. NTC temperature sensor for precise control. Over temperature safety cut out system. All C&W cabinets with their clean functional design are manufactured from high quality materials selected specifically for this application. They are made out of specially formulated fire retardant glass reinforced polyester (GRP) with high chemical, water and temperature tolerance. The Wet seal apex roof is insulated or transparent. The construction of the CCT cabinets is corrosion resistant throughout. The control panel has an ergonomic design. Standard panel racks are included, options are available. Transportation of the Humidity Cabinets in areas of restricted access is made easier due to the compact design aided by wheels and removable lids. C&W cabinets come in a wide range of types, Humidity Cabinets are dedicated cabinets only allowing humidity testing. You can also obtain a standard corrosion test with humidity function added. Cabinets with salt spray / humidity combined, and salt spray / prohesion / humidity combined are available.